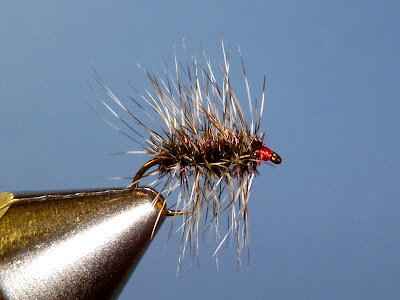 Jim Misiura ties a series of flies he calls his "Garbage Bag Series". These are a group of flies featuring wings made of various plastic bags. The bags are those of which I get my groceries in and other big box store purchases. I saw his videos and was intrigued and decided to give them a try. In the end, as you can see below, I think the wings worked very well. 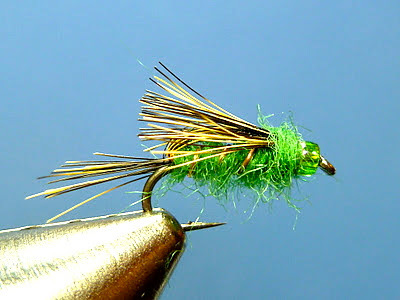 Easy to do and I have grey, tan, white and green bags to try... I like 'em! 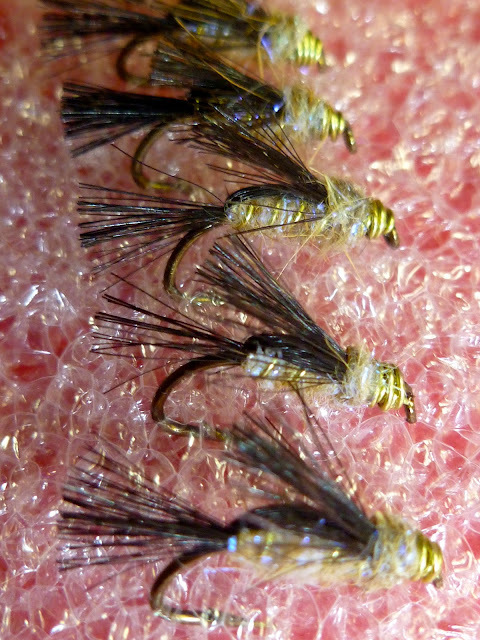 I tied three variations of Sulphurs using tan garbage bags as wings on size #16 scud hooks.